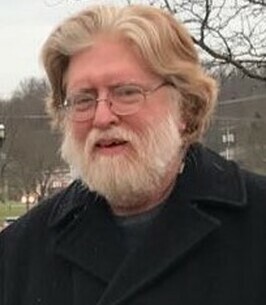 Stephen Cunningham Service Details - East Liverpool, Ohio | Dawson Funeral Home, Inc.
— Dawson Funeral Home, Inc.
EAST LIVERPOOL – Stephen M. “Steve” Cunningham, 60, of East Liverpool, passed away suddenly Sunday, October 7, 2018 at his home. Born in East Liverpool, Ohio on February 25, 1958 he was a son of the late John F. and Mary Lou Flegas Cunningham. A resident of this area most of his life, Steve worked in IT for Smith Medical. He graduated from East Liverpool High School in 1976. He was an avid Pittsburgh Steelers and Ohio State fan. Steve is survived by three daughters, Alexandria Osborne of London, OH, Katherine Williams and her husband Joel of Chillicothe, OH and Victoria Cunningham of London, OH; five grandchildren, Jasen Johnston, Keegan Craig, Kyla Craig, Keira Williams and Lilly Mae Cunningham; sister Susan Hayes Walker of Marlboro, New York and two brothers James and John Cunningham of West Virginia. Arrangements have been entrusted to the Dawson Funeral Home. To send flowers to the family of Stephen M. Cunningham, please visit our Heartfelt Sympathies Store. We encourage you to share any memorable photos or stories about Stephen. All tributes placed on and purchased through this memorial website will remain on in perpetuity for future generations.